A blend of intimate and private atmosphere and the suggestion of a Wildlife Natural Reserve. The very big Park hosting different garden areas, allows you to enjoy nature, read and peacefully relax with several bright colours around. I believe the Wedding Ceremony under the tunnel made of iron arches with roses is a Fantastic Wedding Scenery that you hardly ever find in a Venue. The old granary room furnished with old stuff is the perfect space for a Vintage Wedding. Climbing plants, old frames on the walls, vintage fabrics and chandeliers. We can definitely set your Wedding Dinner there. But the really unusual Exotic Reserve with Flamingoes, Antelops, Marabou Storks, Zebras, Parrots made me stunned, as you would never think of such a situation. If they do not tell you about that you do not even notice as the whole surrounded reserve is very quiet. The 3 bedrooms are all furnished with an Elegant Shabby Style. ACTIVITIES: Visit the marvelous Medieval Hamlet located 5 minutes from the Venue. Wine Tasting, Cooking Courses, Cycling, Art. A visit to a gorgeous Italian Museum that hosts some of the most important Artists, 15 minutes from the Venue and Hamlet. 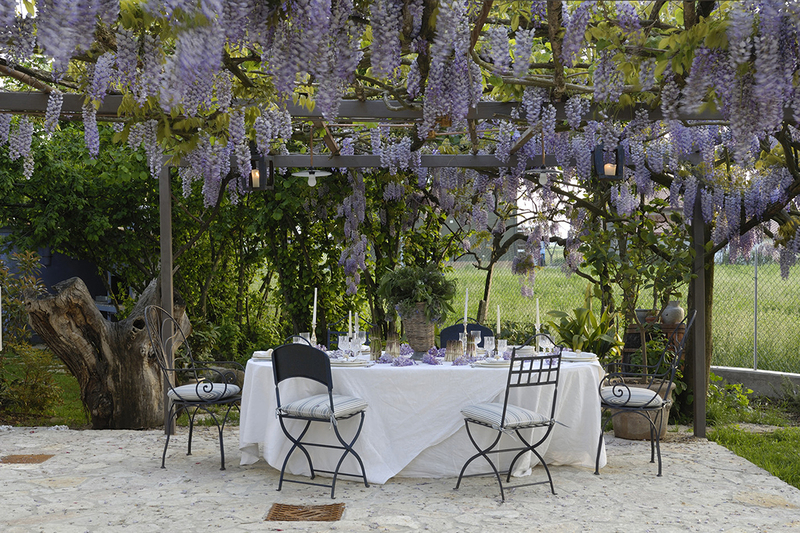 When do you want to celebrate your Wedding in Italy?